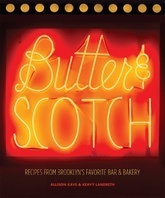 At Brooklyn's Butter & Scotch, inventive seasonal flavors come together to satisfy any sweet tooth-especially those with a penchant for spirits. Their namesake cookbook dishes up more than 75 recipes that shake up the traditional approach to booze and sweets. Here are recipes for any time of the day, from buttery, cinnamon-y Magic Buns and savory Smoked Trout Benedict for breakfast to gourmet Hot Toddies at evening's end-and popular anytime favorites, including S'mores Bars, Dark & Stormy Cocktail Caramel Corn, Pie Milkshakes, and Maple Bacon Cupcakes. Complete with essentials on techniques, ingredients, equipment, creative pairings, and the basics of cooking with alcohol, Butter & Scotch is a grown-up's dream come true. Color photos.